Bone cancer. 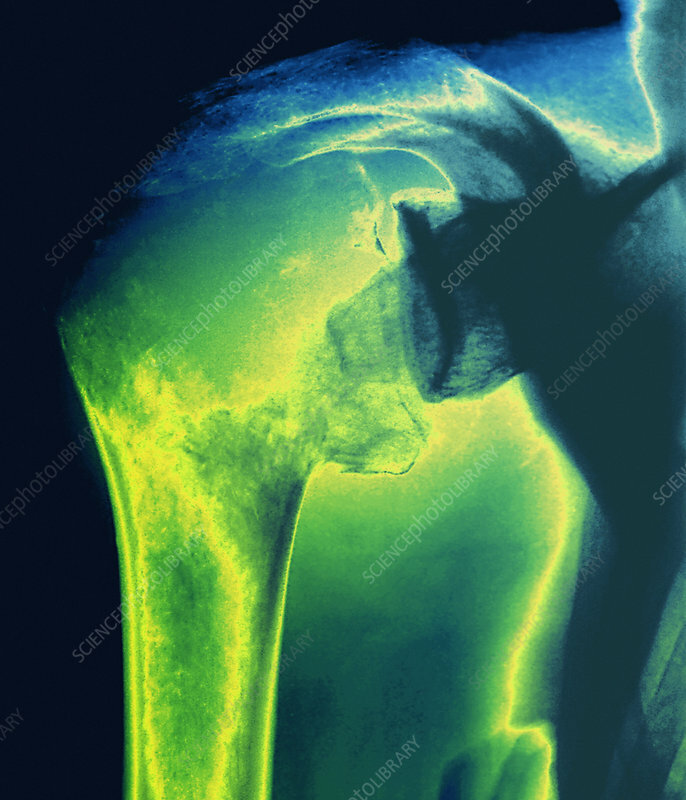 Coloured X-ray of a cancerous tumour in the humerus (upper arm bone). This tumour is due to the metastasis (spread) of lung cancer.